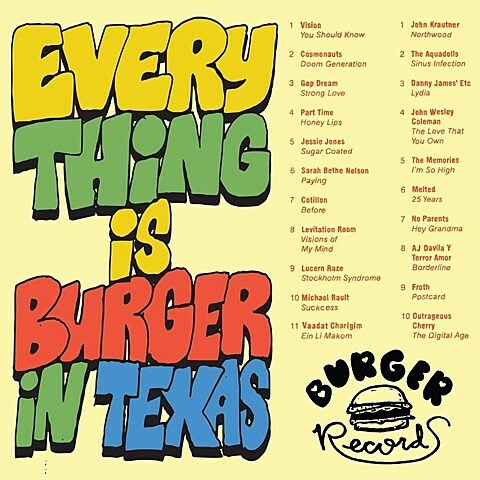 Burger Records has a whole lot going on down in Austin for this year’s SXSW. In addition to their Wiener Records imprint’s party at Spiderhouse, Burger itself is once again hosting its massive Bugermania show, a pool party with performance from Burger bands, co-presenting a showcase with Lollipop records and opening up a pop up shop at Urban Outiftters where you can pick up the punnily-titled “Everything Is Burger In Texas” cassette featuring a bunch of Burger bands. 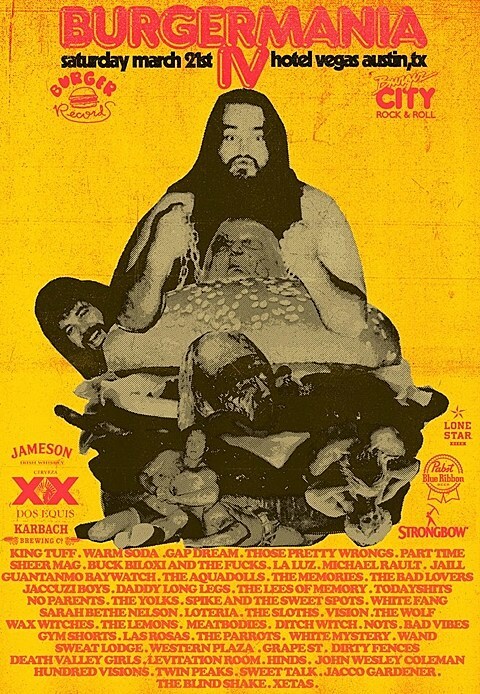 The 4th installment of the totally FREE Burgermania goes down on Saturday (3/21) at Hotel Vegas from 2 PM until 2 AM across four stages. The lineup is massive, but a few highlights include Gap Dream, White Fang, Dirty Fences, King Tuff, The Sloths, Sheer Mag, Hinds, Nots, The Blind Shake, La Luz, The Lees of Memory, Warm Soda, Jacco Gardner, and Twin Peaks. You can check out the schedule in full below. 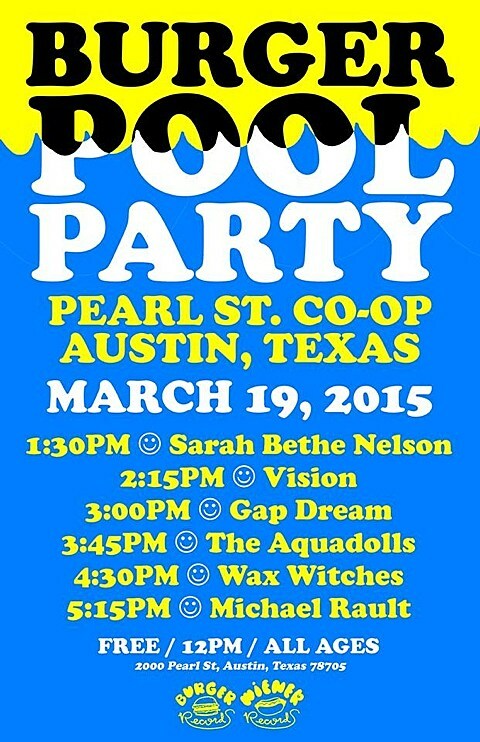 If you’re looking to relax by the pool and catch some music, Burger is throwing a free pool party at Pearl Street Coop on Thursday (3/19). Not only will there be, you know, a pool, but also music from Sarah Bethe Nelson, Vision, Gap Dream, The Aquadolls, Wax Witches and Michael Rault. 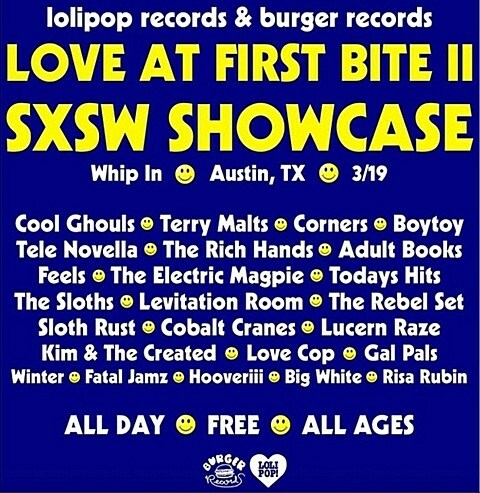 Thursday is also host to the 2nd annual “Love At First Bite Showcase” which Burger co-presents with Lollipop Records at the Whip In. 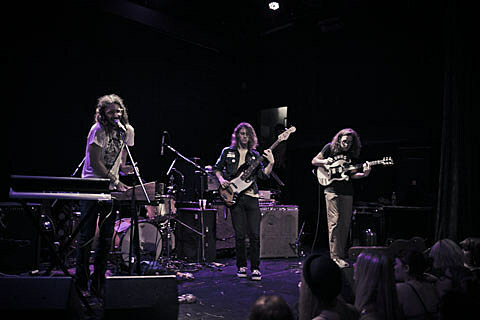 The show’s free, all ages, and goes all day from noon to after midnight. The massive lineup includes performances from Cool Ghouls, Terry Malts, Corners, Boytoy, Tele Novella, The Rich Hands, Adult Books, Feels, The Electric Magpie, Today’s Hits, The Sloths, Leviation Room, The Rebel Set, Slothrust, Cobalt Cranes, Kim & The Created, Love Cop, Gal Pals, Winter, Fatal Jamz, Hooveriii, Risa Rubin and Big White.